Each capsule contains 120mg of Ginkgo Biloba leaf. Capsules are extract standardized to provide 24% Ginkgo Flavonglycosides and 6% Terpene Lactones. Ginkgo Biloba supports blood flow to the brain to promote mental alertness. 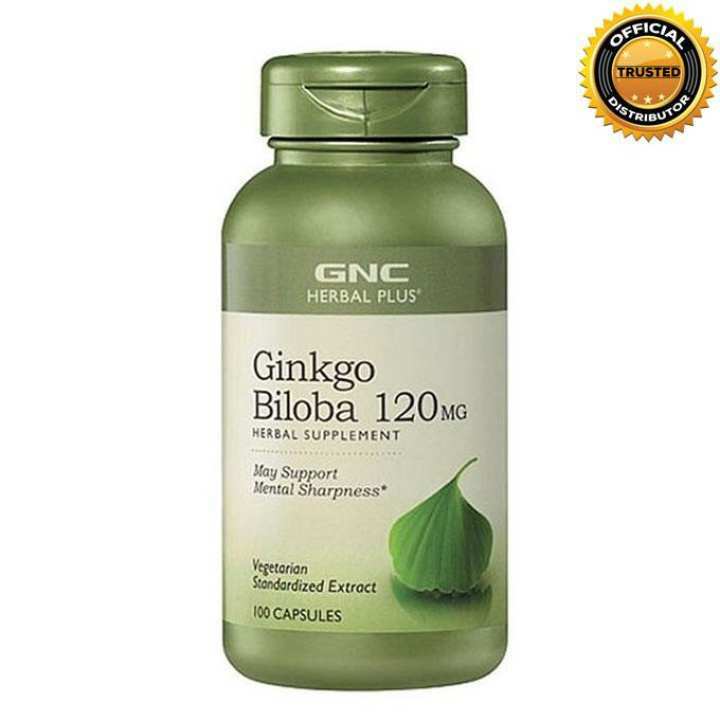 GNC Herbal Plus Ginkgo Biloba 100 Capsules is a daily supplement that may help support mental sharpness and alertness. Comes in vegetarian-friendly capsules.This Capsules is a herbal supplement that promotes mental acuity. These vegetarian capsules contain a standardised extract blend that supports healthy brain function. কানের শো শো আওয়াজ এ কাজ করে কি? কোন দেশ এর? কি ভাবে খাইতে হবে?